Last Thursday the clouds parted and we got a few warm rays! 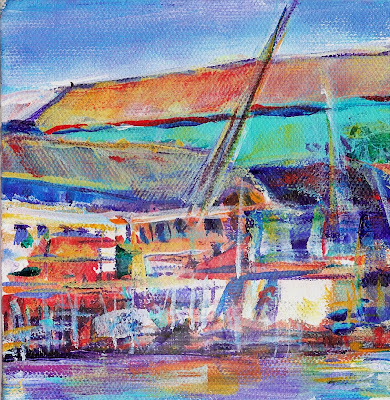 This little sketch is looking north from the end of Dock 3 at Fishermen's terminal. Wow! Great color and mix of horizontal/vertical.